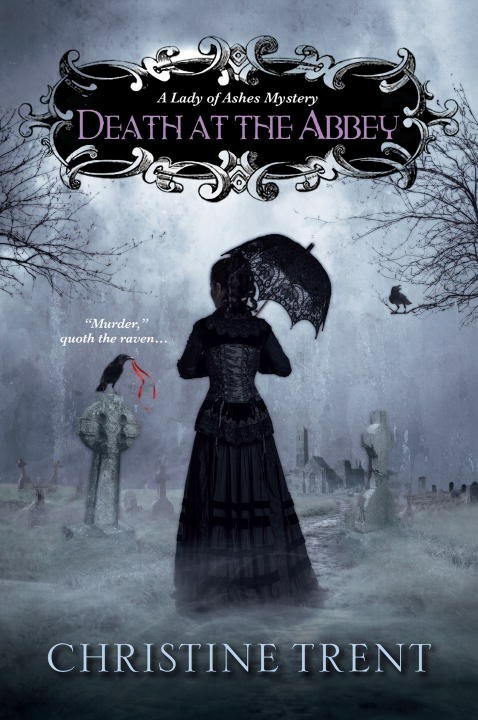 'While on a much-needed respite with her husband Sam in Nottinghamshire, undertaker Violet Harper is summoned to Welbeck Abbey by the Fifth Duke of Portland to prepare a body. His Grace is known as the "mad duke," and Violet has more than an inkling of why when she arrives at the grand estate and discovers that the corpse in question is that of the duke's favorite raven, Aristotle. Many of the duke's servants believe a dead raven is a harbinger of doom, and the peculiar peer hopes to allay their superstitious fears with an elaborate funeral for his feathered friend. I like this series because it is dark and unusual. Not many people can write about death and undertaking and not make it morose and depressing, but this author can. Violet Harper is a well-known female undertaker in Victorian England. She has a knack for solving murder mysteries while seeing to her undertaking duties and it is no surprise when the Duke of Portland asks her to see to the funeral of his pet raven. The death of the raven is a catalyst that sets off several murders on the Duke of Portland's property. Violet is in perfect position to assist the duke with murder investigations. This book is the fifth installment of the Lady of the Ashes Mystery series. I enjoyed the other books in this series much more than this one. This one wasn't as well developed as its predecessors and I was a little disappointed in the outcome of this book. It wasn't a bad read because I have come to enjoy reading about the characters, it just wasn't up to par as the others in this series. I love the idea of a Victorian undertaker who solves mysteries. I think it is a brilliant idea and one that merits interest. Not the greatest in the series, but a good read nonetheless that had me wishing for a little something more. I think that the author plans to continue the series and I hope that the next one is a little better. I would hate to think that a series I enjoyed was starting to become a little stale. Not quite ready to let this series go yet, but will need a little more something to endear me to this series again. You've inspired me to check out this series. I just requested book one from the library.